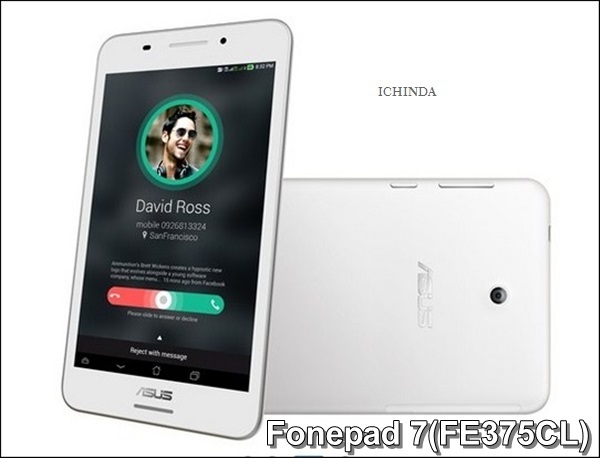 Looking foe the best 4G Voice calling tablet than all new Asus Fonepad 7 (FE375CL) is the best choice for you. Asus Fonepad 7 (FE375CL) featuring Android Lollipop, 64-bit processor and 5-MP +2-MP Camera, 15Whr battery launched in Taiwan will cost you around $250 (approx. Rs. 15,500). Asus Fonepad 7 (FE375CL) listed on Company Taiwani website in Black and white colour option while it’s global rollout is not confirmed yet. The all new Asus Fonepad 7 (FE375CL) support Single SIM (GSM+GSM), Micro SIM with 4G LTE, Wi-Fi 802.11 b/g/n, Bluetooth 4.0, GPS/ A-GPS, GLONASS, and Micro-USB comes with a 7”-inch WXGA IPS LED-backlit display with resolution (1280×800 pixels) delivers stunning color consistency from almost any angle perfect for watching movies, playing games and reading e-books. Asus Fonepad 7 (FE375CL) runs on Google’s Android 5.0 Lollipop with Asus ZenUI and powered by a 64-bit 1.3GHz, quad-core Intel Atom Z3530 processor with 2GB RAM variant and 8GB/16GB built-in-storage and 64GB external memory along with 5GB Life Time ASUS Webstorage Space with an additional 11GB for the first year makes multitasking a fun, gives immersive game environments and reducing power usage and heat. Asus Fonepad 7 (FE375CL) offers you a 5 MP Rear Camera ( 1080p Video Recording ) with Auto focus and 2-MP front facing camera for clicking selfies and making video call. It also includes a 15Whr battery with 12 hours of battery life measures 108.9×194.3×9.8mm and weight just 299 grams. 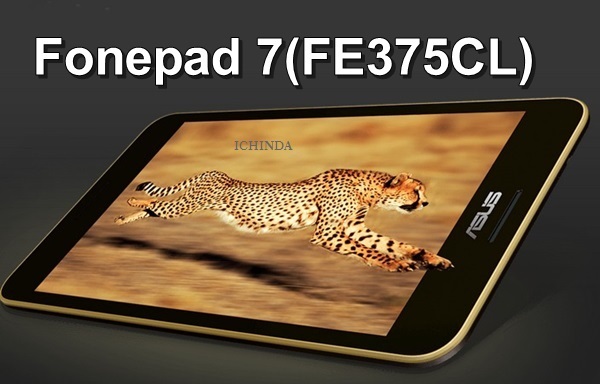 At last few honest word, Asus Fonepad 7 (FE375CL) is the best voice calling tablet from Asus. What you think? Please stay tuned for more updates.